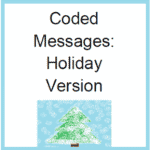 Coded Messages is a series of math activities where students learn about using function tables to find patterns in number. They use the completed function tables to decode a message. The messages in this version are all patriotic songs. 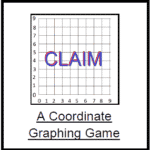 I have written a number of these activities for my students with different themes and have posted them in Artistry of Education @ Teachers Pay Teachers. 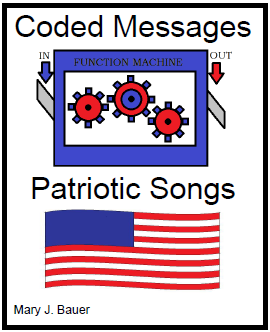 I recently made Coded Messages: Patriotic Songs forever free. You can download it directly from my store.